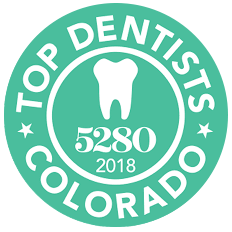 Maintain Good Oral Health With a Regular Teeth Cleaning in Thornton, CO! Good overall health is tied to good oral health. Regular teeth cleanings can help you prevent painful and costly cavities, gum disease, and bad breath. Learn How to Take Care of Your Teeth! Your dental hygienist will teach you how to take care of your teeth between cleanings. This will hopefully help you from getting cavities and having to get white fillings. Regular flossing and good dental hygiene can help you keep your smile for a lifetime! Teeth cleanings are a standard part of our approach to family dentistry and cosmetic dentistry. Schedule your Teeth Cleaning Appointment Today! With our private rooms, free WiFi, and access to NetFlix, Barron Family Dental is the coolest place to get your teeth cleaning in Thornton! If you haven’t had a teeth cleaning in a long time, don’t be embarrassed. We’re here to help. Call us today at (303) 284-6463 to schedule an appointment.